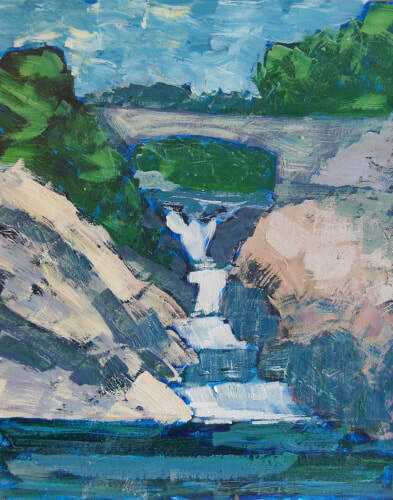 I am in Whitefish Falls with a group of plein air painters who call themselves the La Cloche Country Art School. What an amazingly friendly group of people. I painted this falls unsuccessfully a few years ago and wasn't sure that I wanted to try again. There were lots of sightseers some of whom wanted to photograph me and/or my painting. Despite all the distractions I am pretty happy with this.